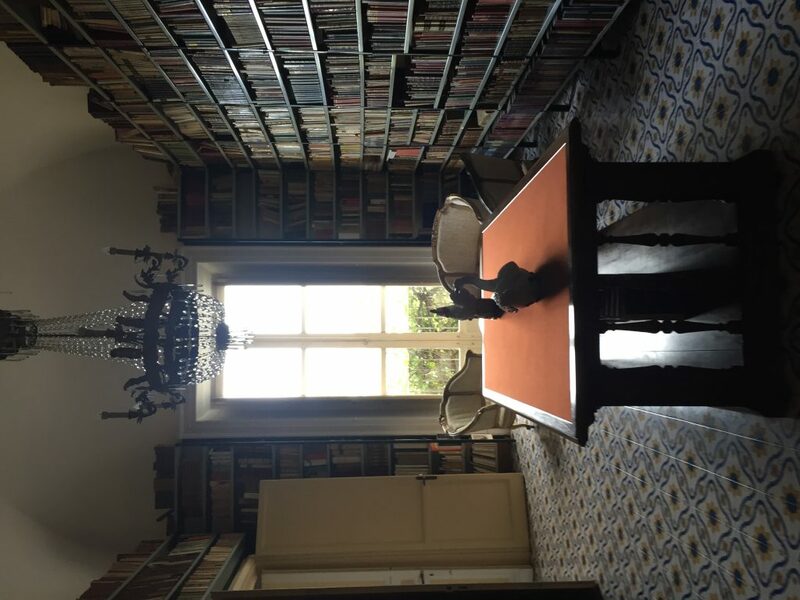 While Dulche’s vocabulary may have wowed us all at the tour of the Duke and Duchess of Palma’s Palazzo, I was not that intrigued by the tour and information we learned about Gioacchino and Nicoletta Lanza Tomasi. It was great to see the original manuscripts of ll gattopardo enclosed in the living room glass case. Ultimately though I think growing up in the U.S. it is interesting to think about our view of monarchy and its role in society. In looking at a nation like England where there is a constitutional monarchy in which honestly the Queen has more symbolic power than real authority, I still have trouble understanding people’s admiration of the royal family. When thinking about Italy and how the monarchy was the system of government that ended in 1946, it is difficult to understand the significance or potential fascination with Gioacchino and Nicoletta Lanza Tomasi. I am glad we went on the tour but I think it is just interesting to think about how our American identity and the history of the country shapes our view of monarchy. Seliunte contained five temples centered on an acropolis. Only one of the five temples has been re-erected, this one being the Temple of Hera. Our time at Seliunte was especially beautiful as there was an incredible view of the sea as well no chaotic tourist groups around the site. In 1959 an archaeologist reconstructed this temple using the original material, this technique is called anastylosis. Four metopes of this temple which depict Heracles killing Amazon Antiope, marriage of Zeus and Hera, Actaeon being torn apart by Artemis’ hunting dogs, and Athena killing Enceladus. Visting Mount Etna was an amazing experience despite the high speed gusts of wind. Mount Etna is the home to several classical myths. One of the more famous stories that I have studied in previous courses is Odysseus’ encounter with the Cyclops, Polyphemus. This story is told in Book IX of the Odyssey and reappears in Virgil’s book III of the Aeneid. Although Homer doesn’t locate this meeting exactly, Europedes and Virgil situate the home of the Cyclops on the slopes of mount Etna. Many researchers and scholars have analyzed these texts and the mentions of the volcano and compared them with Mount Etna’s behavior, concluding that there is a strong connection between the Polyphemus story and the volcanic eruptions on the island. All the details from the Polyphemus myth most likely came from precise observations of past volcanic eruptions on Mount Etna. 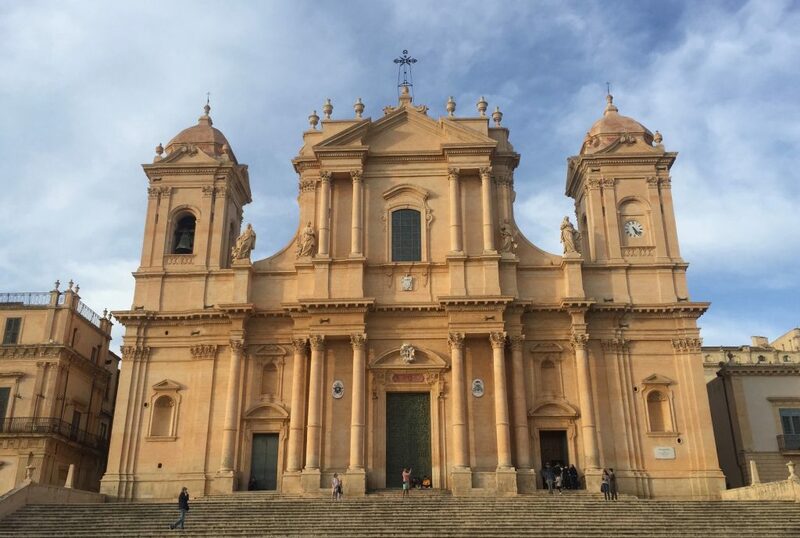 The Noto Cathedral displayed a perfect example of Sicilian Baroque as the temple’s construction began in the early 18th century and was completed in 1776. In recent years the cathedrals dome collapsed in 1996 but the temple was reopened in 2007. The whole concept of the passeggiata is extremely fascinating to me and I particularly enjoyed walking along that main street of Noto as we passed along the Noto Cathedral, town hall, and all of the beautifully crafted intricate balconies along the smaller side-streets. 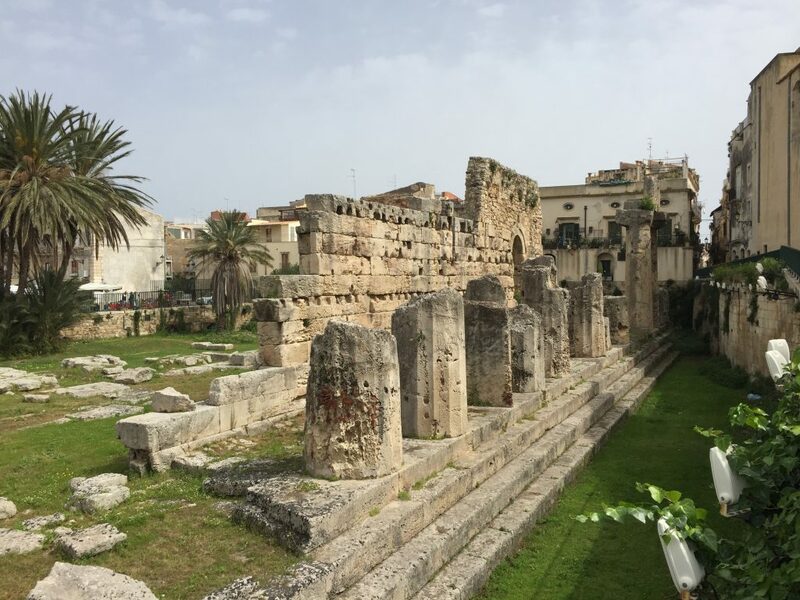 In the middle of the Piazza Pancali lies ancient Temple of Apollo. The temple is dated back to the 6th century B.C. 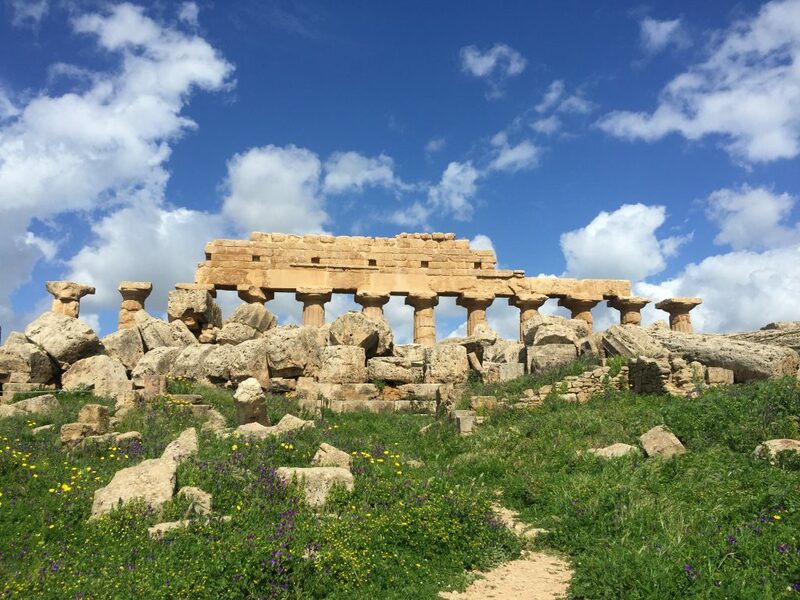 making it one of the oldest Doric temples in Sicily. This temple faced several transformations through hundreds of years. Previously it had been a Byzantine church and also an Islamic Mosque. After this it became a Norman church and then was then incorporated into 16th century Spanish barracks. I think what was especially fascinating about these remains, although there is not much left, is how it served as a monument is the busy piazza. Several streets lines with markets, shops, and crowded restaurants lead to the open piazza that houses this ancient temple. Compared to other temples we visited which were sometimes in isolated, more scenic settings, it was interesting to look at this ancient temple with the more modern city directly integrated around it.